An image of Blat, the tumor-sniffing dog. Photo provided by Dr Guirao; used with permission. Humans are used to seeing canines used as tools in forensics — their skills are often harnessed to smell out drugs or trail a criminal. Some dogs are even used to locate household pests. The use of canines to detect lung cancer from smell alone, however, is a new prospect for oncologists and their patients. Dr Guirao explained that illness changes the pattern of volatile organic compounds (VOCs) and may be used to diagnose any disease, including cancers. Detection of cancer through exhaled breath is not a novel idea.3 “However, analyses of VOC patterns require expensive and sophisticated technology and the resolution capacity of these techniques is limited by the number of biosensors,” she said. “The canine sense of smell has a higher biosensor concentration than the best technology available at the moment,” she added. 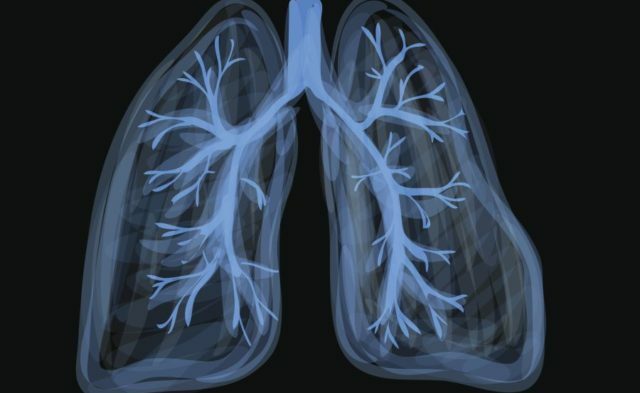 “The amazing results with this study prompted us to confirm whether Blat was able to distinguish the malignant origin of very small lung lesion (< 3 cm),” she explained. “The main idea is that dogs are able to detect lung cancer because it has a specific odor, and it seems to be the same odor in every stage, because Blat was trained to detect this specific odor [regardless] of the lung cancer stage,” she said.